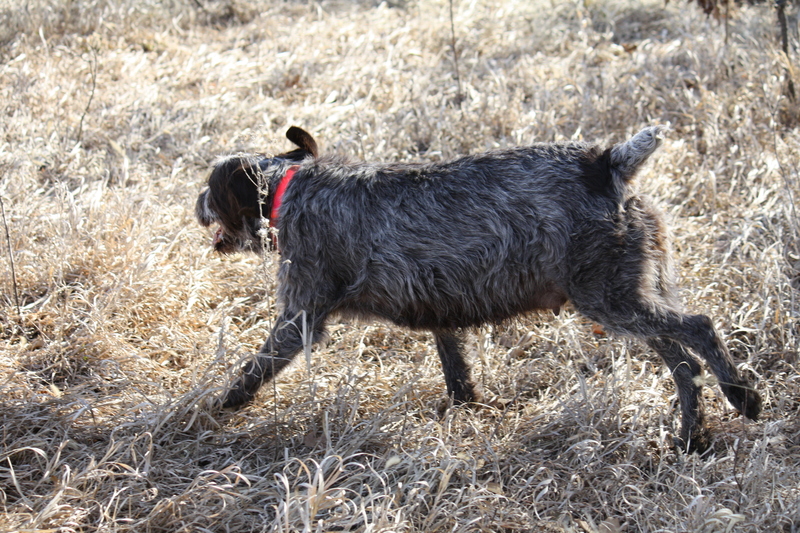 Plenty to look forward to here at Bluestem Kennels this spring! Mae has grown quite large and is now living in the house full time. 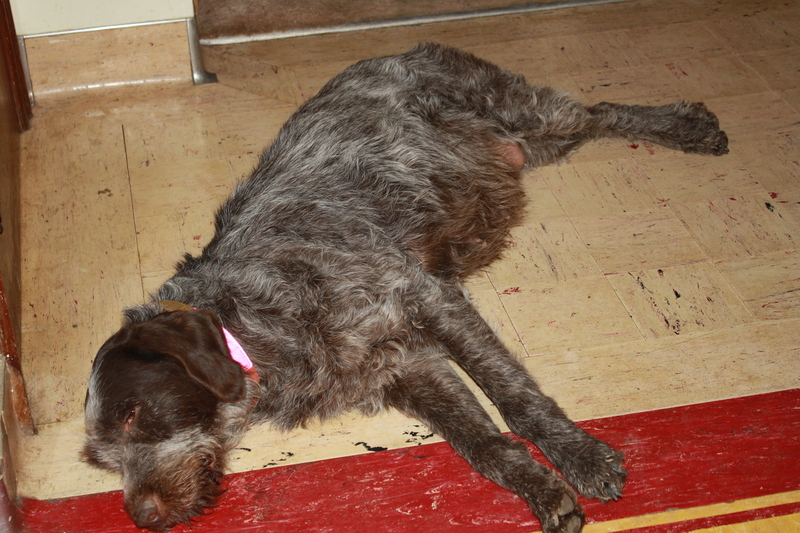 As large as she is, I expect a big litter, but we will know more when we take her in for x-rays the week of March 5th. 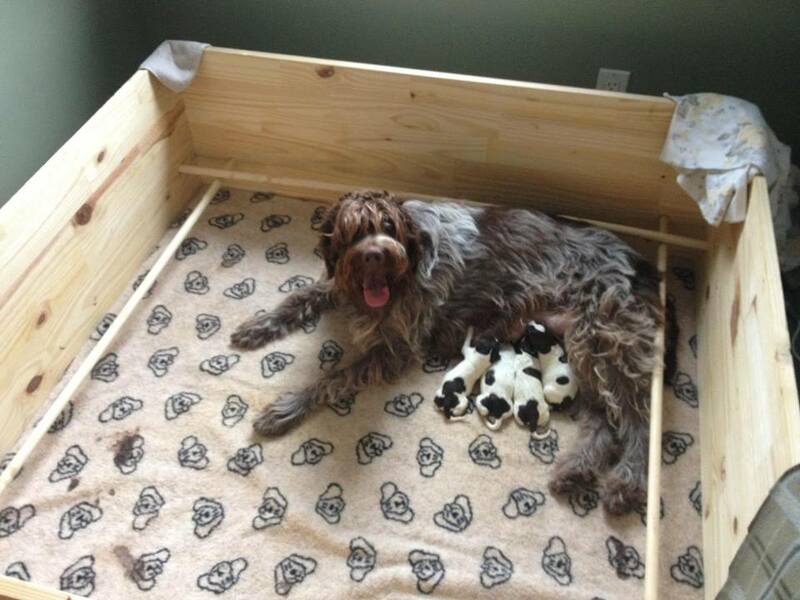 I’m projecting her whelping date sometime around March 15th, so we are all getting excited for puppies! Her pregnancy wasn’t an excuse for her to not participate in the family/pack hike yesterday. 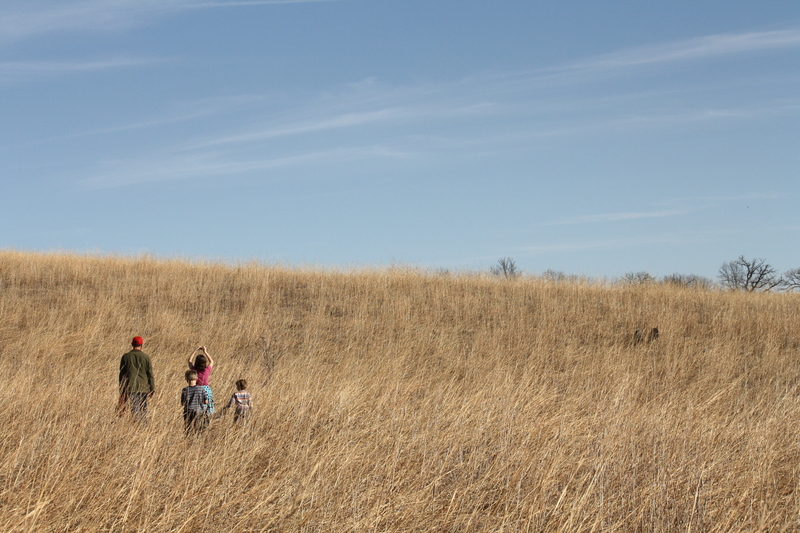 Now that bird hunting season is over, we’ll be out hiking more. 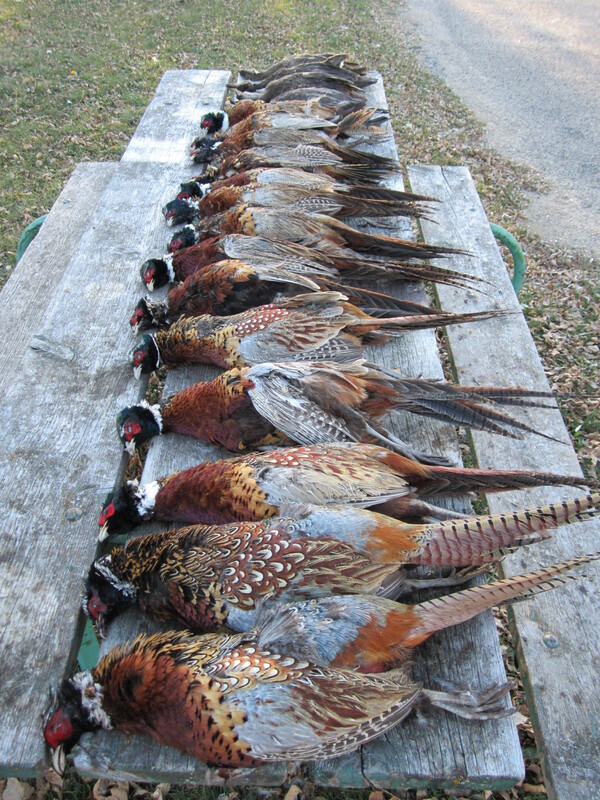 Things at the preserve that we’ve guided at in the past have dried up this year, as there is a late season pen-raised pheasant shortage in the area. We are still waiting for Sue to come into season, it really should be any time now, as we’re right at 6 months from her last cycle and she cycles twice a year. Yet Mother Nature has control and I don’t, so I’ll just try to be patient. It is better for me to have a gap in between the two litters anyway, so that they aren’t of the age when I’m trying to work with them on different skills (between 5 1/2 and 8 weeks) at the same time. We are also anxious for our dog painting to come home to us in the fall. 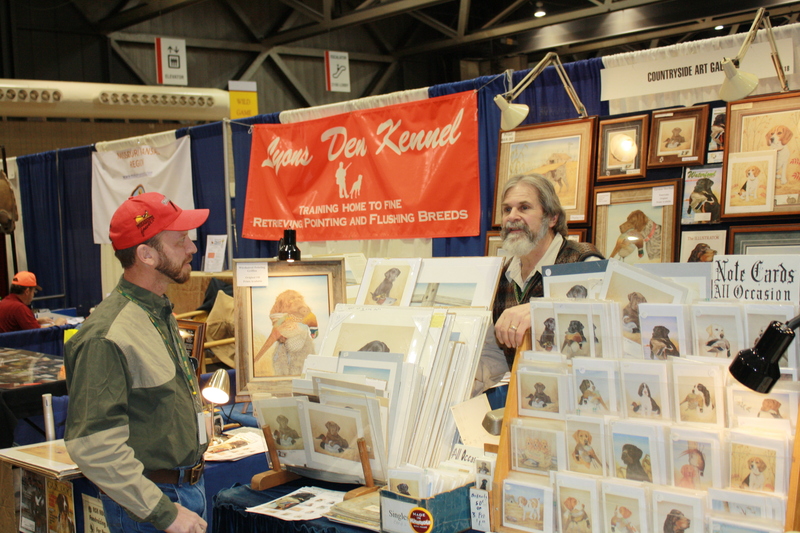 Minnesota artist Carl Melichar of Countryside Art Gallery painted an oil on linen of Sam holding a rooster pheasant. 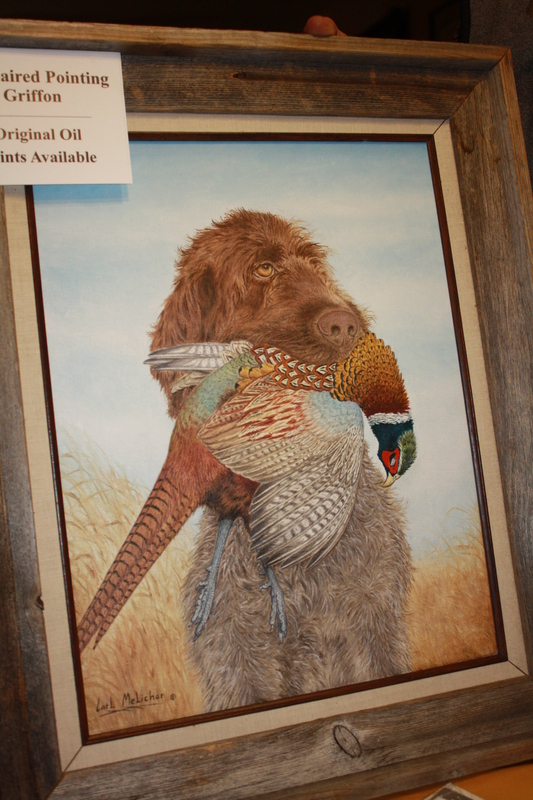 The painting was unveiled last weekend in Kansas City at Pheasant Fest, the National Pheasants Forever Convention and Carl will have it on tour with him over the spring, summer and early fall. I’ll be sure to keep everyone posted on our progress with puppy season, thanks for your support and send some good vibes our way for a problem-free whelping. We were a little surprised to see a fellow pheasant hunter with a truck bed full of dog boxes joining us at the Bellevue Quik Trip to collect the morning coffee, as the forecast was foreboding for opening day. 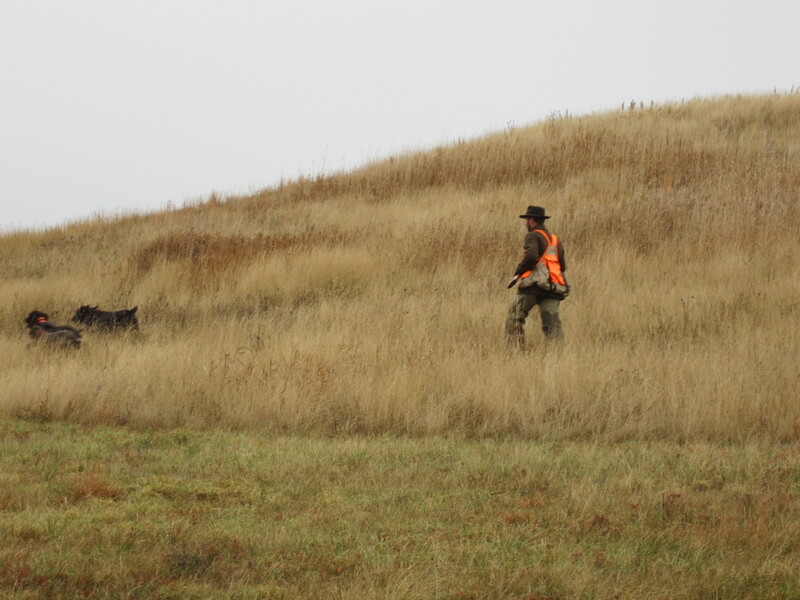 Hunting tradition in Nebraska doesn’t yield to any man’s dissent and even in the Omaha suburbs folks were up early to head out into the yonder fields. Prior to our southbound journey, we first had to pick up our old friend, Marvin Brinkman. 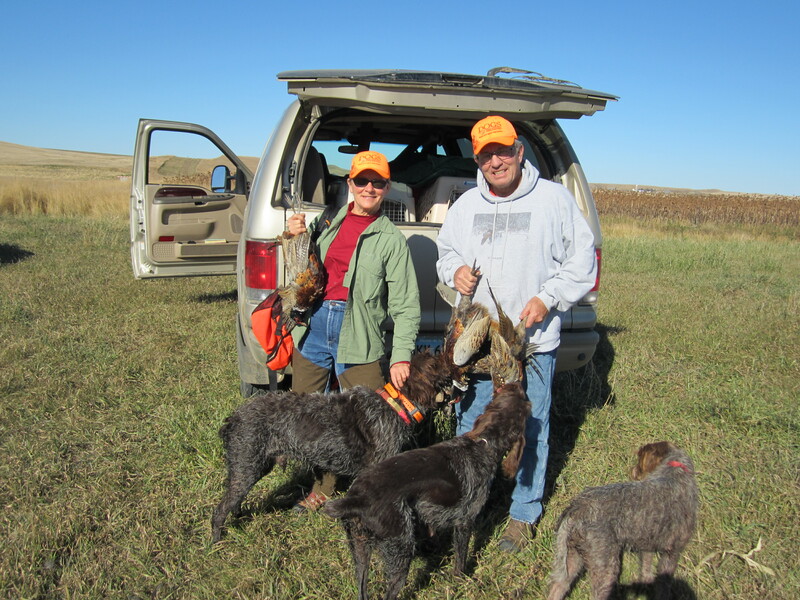 The annual opening hunt is always hosted by Marvin and his parents, Wilmer and Maude, on the family farm near Sterling, Nebraska. Due to the high price of corn and soybeans this year, the Brinkmans hold some of the last CRP in Johnson County. 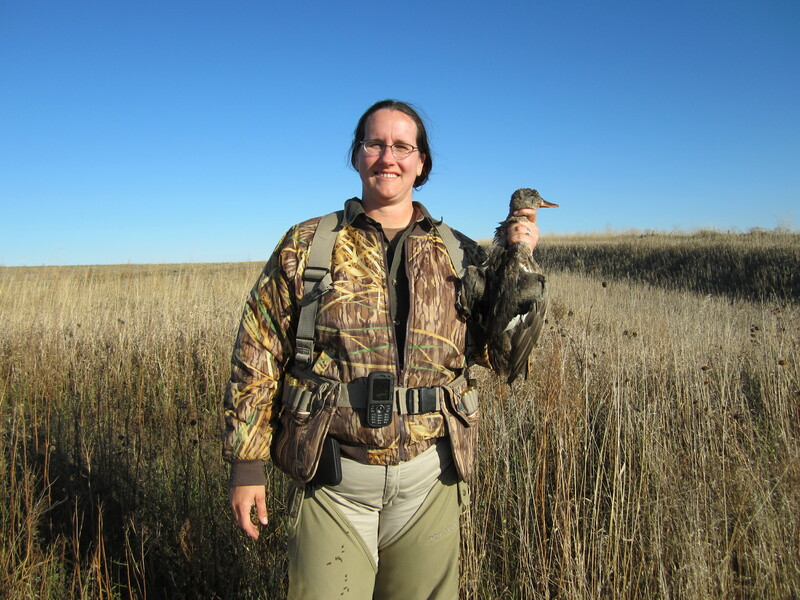 The Conservation Reserve Program provides the farmers a pittance in exchange for maintaining prairie in comparison to the going rate for corn and soybeans. Luckily, the elder Brinkmans are past tractor-driving age and are also conservation-minded people. 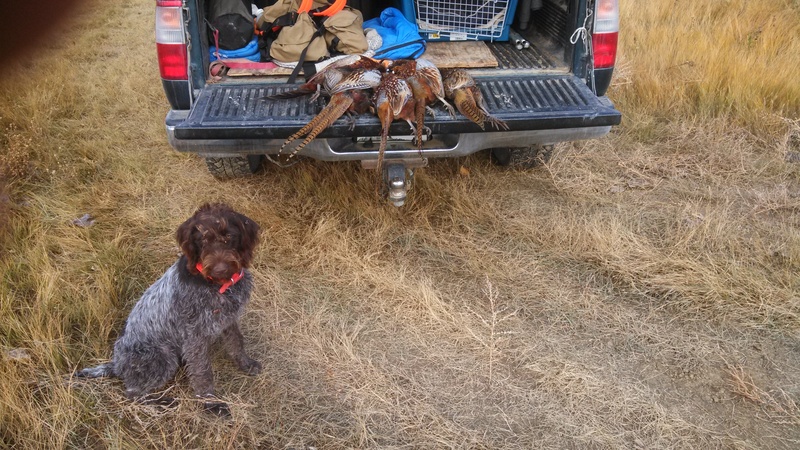 In years past, large parties of pheasant hunters have traversed their fields with high hopes of bagging limits, and several were successful back in the 1990’s, but this year we simply hold the hope of seeing birds. On our southbound journey in the dark, we entertained ourselves with tales from Charles and Marvin’s deer harvesting era, when they would obtain every tag they could and bag numerous deer a year. 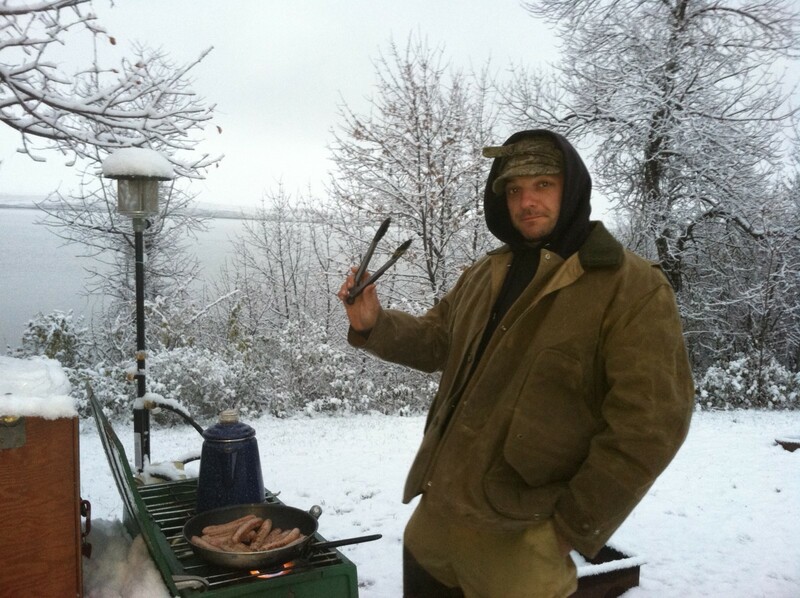 Our garage was a game cleaning station and the chest freezer frequently overflowed with venison. Yet I digress and should save the stories of yesteryear for summertime when there is no hunting to report. 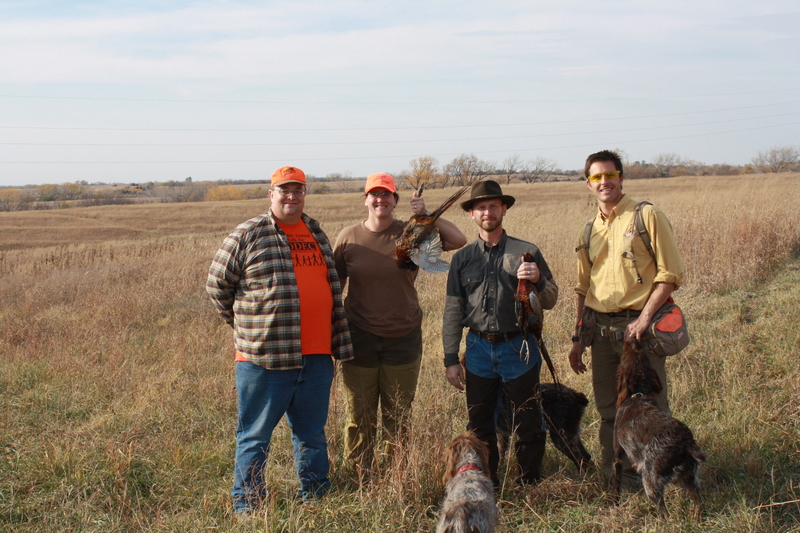 Brian Koch of Ultimate Upland http://www.ultimateupland.com/ met us in Syracuse to experience and photograph the hunt. 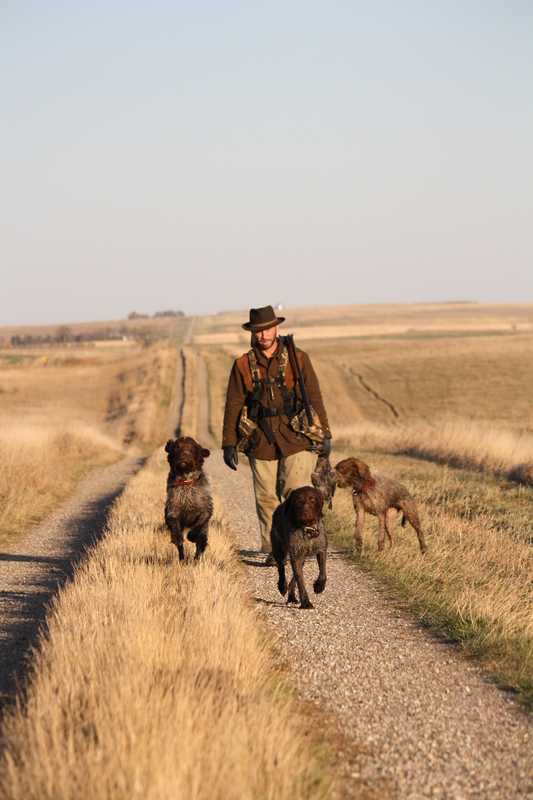 Brian has been on the road since September, camping and hunting in North Dakota, Montana, South Dakota and now Nebraska. 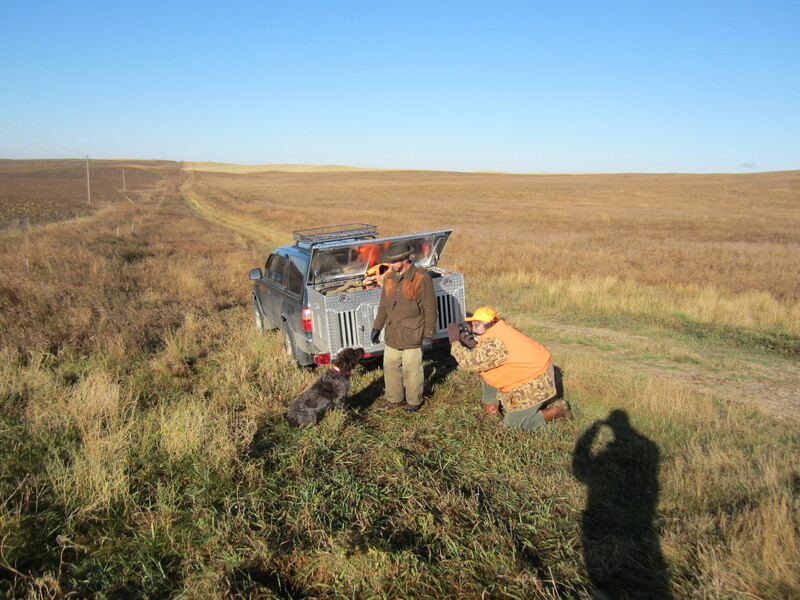 We arrived to our first field prior to shooting hours, so we visited in the truck for awhile, then geared up with the hopes of pheasant or quail. The 40 or so acres of native prairie were surrounded by standing corn to the north, east and west, with a small waterway on the south bordered by trees and shrubs. Our path began on the southwest corner of the property, pushing east. 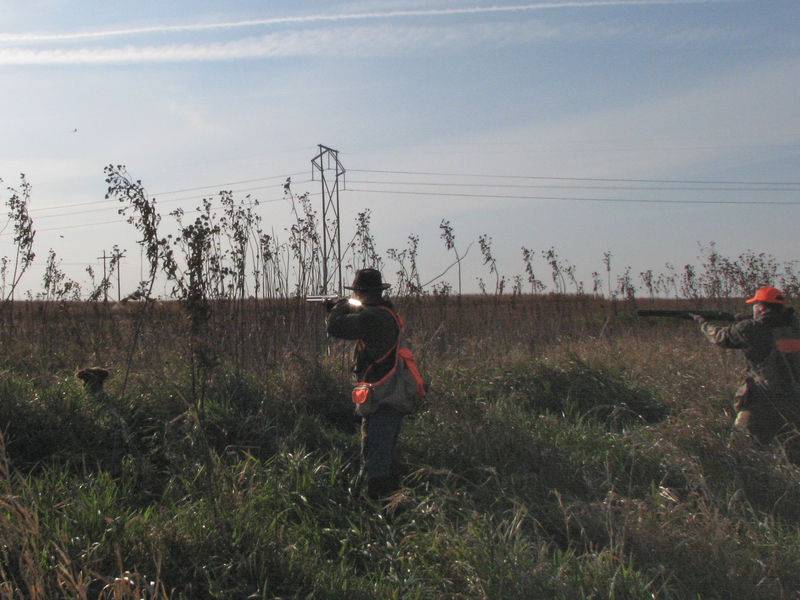 The guys took to the field, while I weaved in and out of the thicket next to the waterway. 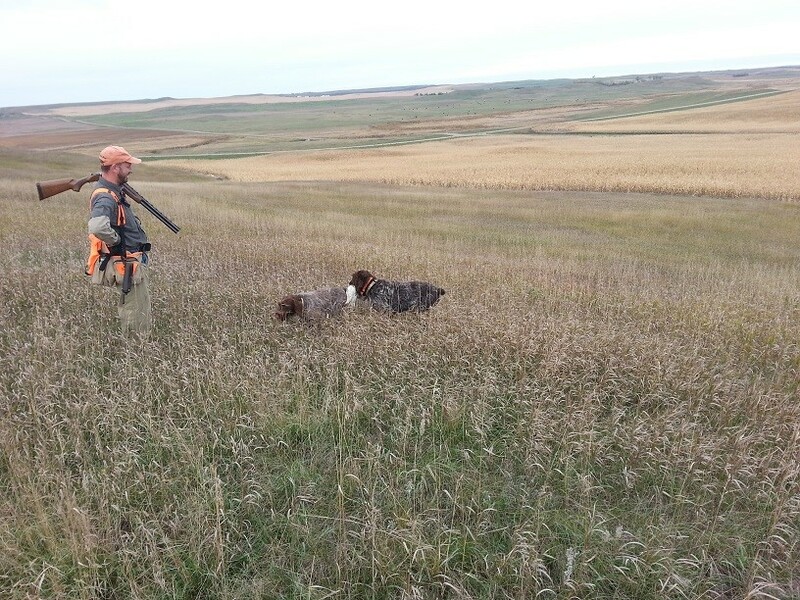 About 15 minutes into our push, I heard slight and distant wingbeats, with the flush of three small bobwhite quail catching my eye from the field. Marvin and Charles elected not to shoot, hoping to allow the covey to grow in the future. 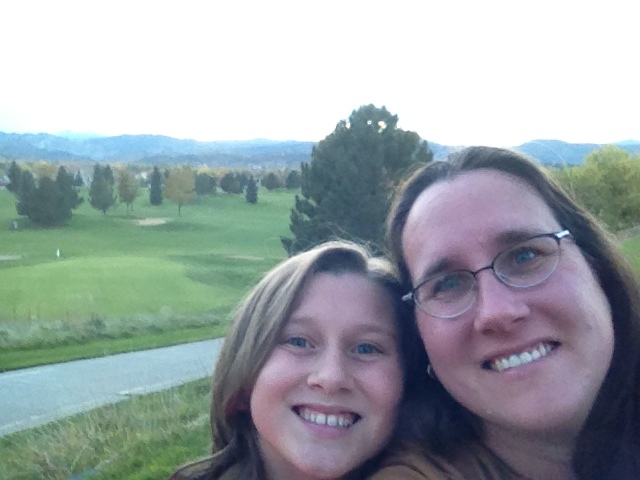 Our hike continued and my 7-year old female griffon, Sue, joined me in the brush, acting birdy. Charles was hitting the whistle since he couldn’t see us, but Sue locked on a solid point, nose to the ground, not moving an inch, as if to say, “it’s right there, mom! 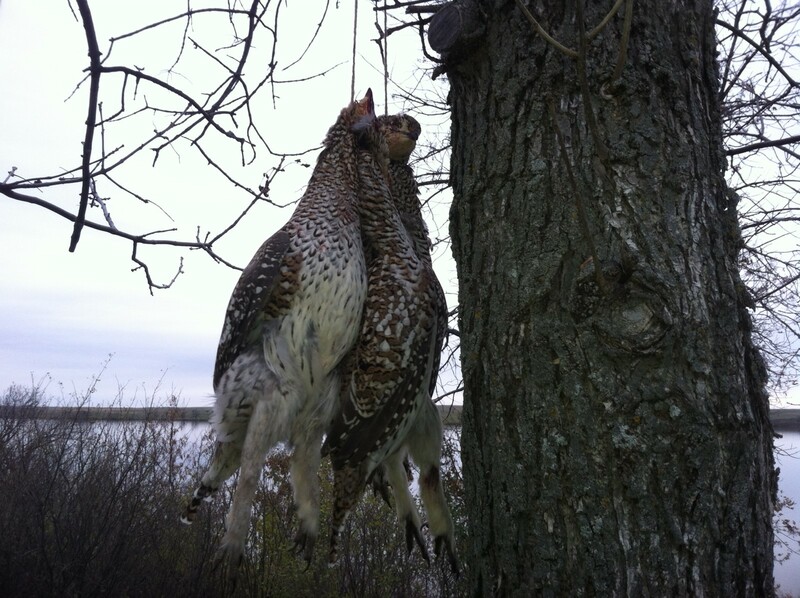 !” Sure enough, I kicked my foot right in front of her nose and a single tiny quail alighted and weaved its agile flight back into the branches, evading my shots. Next stop was the “sure thing”, 80-100 acres of prime habitat, dissected by a waterway and surrounded by standing corn. We pushed the first three quarters of the field, seeing nothing and becoming nervous that even the “sure thing” was going to be a bust. We ambled back towards the truck, southbound down a mowed swath bordered by trees to the west and some rocky, forb-covered dirt mounds to the east, walking together and chatting excessively as if we had given up. 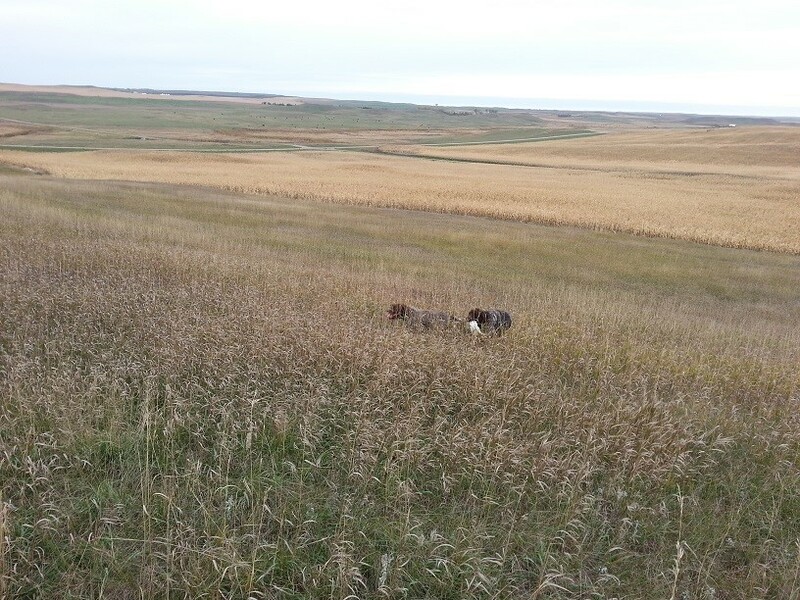 The dogs never quit hunting and they all locked up on a thick spot, which the hunters ran to surround. 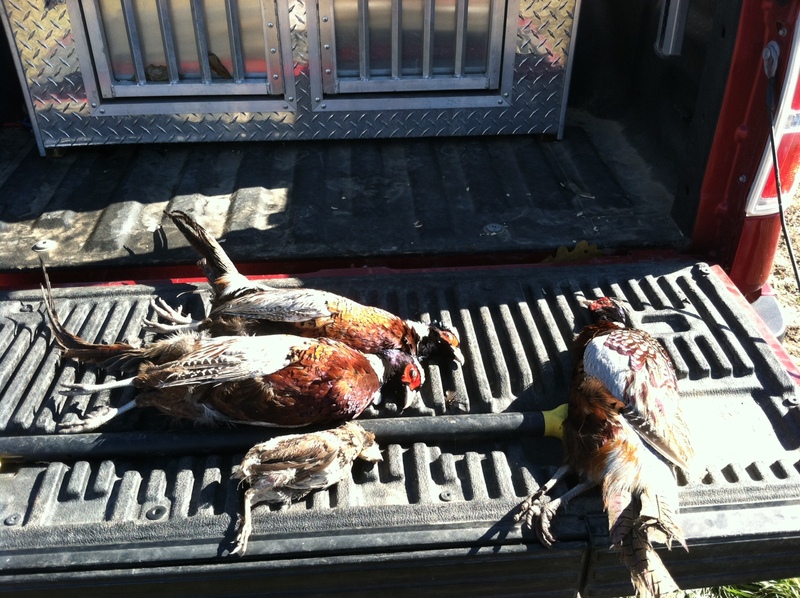 A rooster flushed with both Charles and I taking shots. 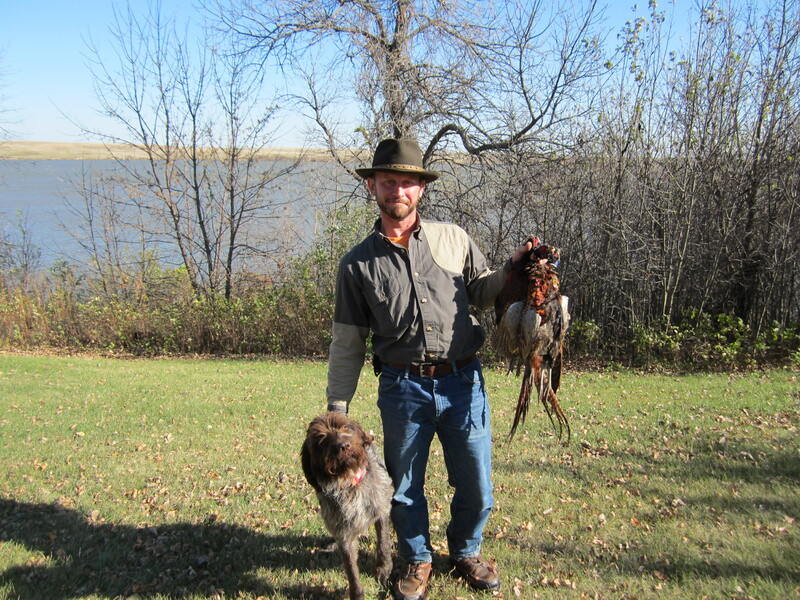 Convinced that I had shot the bird, Sam brought me the retrieve and the debate ensued as to who shot the bird. Following the official review, I was granted the bird. 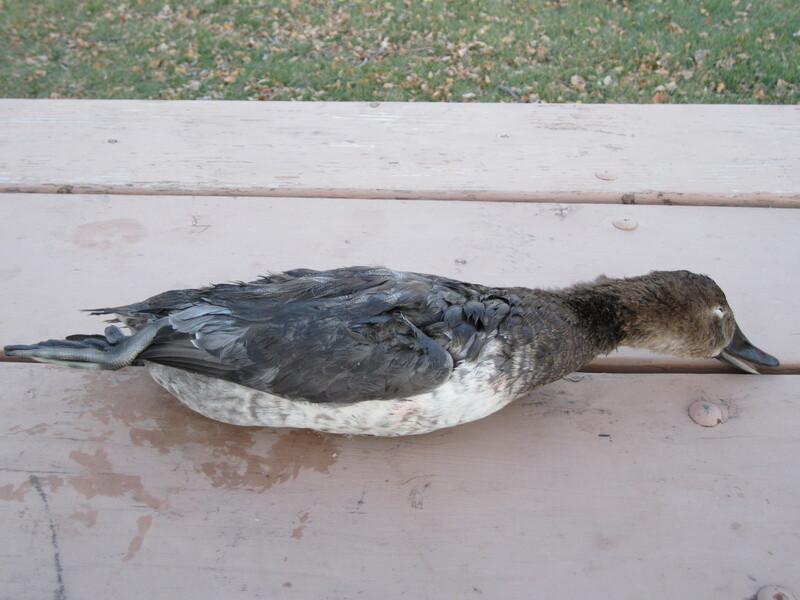 After this bird was collected, we swept the corner of the field and decided to post Marvin up on the edge of the road at the end of the waterway, a spot where the guys had always put up birds. Charles, the dogs and I pushed the waterway into the thick of trees and weeds right by the road, but nothing popped out. It was getting up on lunch time, so we drove towards Sterling and quickly hit a waterway on some land that the Brinkmans rent out for farming, but nothing was to be found. Scott’s Place, the watering hole of Sterling, was filled with the town’s usual suspects to view the Husker football game against Michigan State. Everyone was abuzz with Big Red on the board, greeting Marvin as one of their own and wanting to know how our hunt was going, “We’re on the board, too!” I exclaimed. 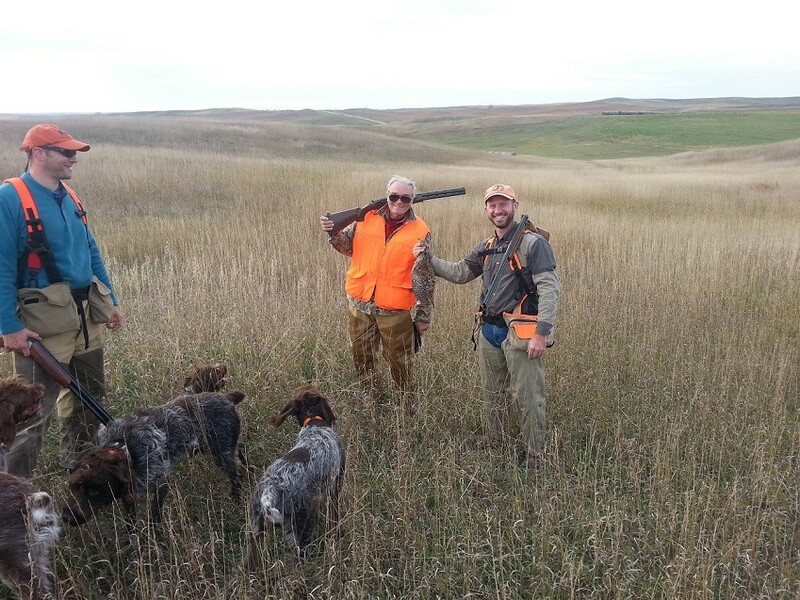 We settled in for some iced tea and the special of the day, ending up taking a three hour lunch talking dream bird hunts, pheasant management practices in Nebraska and enjoying the raucousness of the football game. Our final destination of the day was the “home place”, 120 acres of CRP in the middle of cornfields, with a fish pond in the middle. 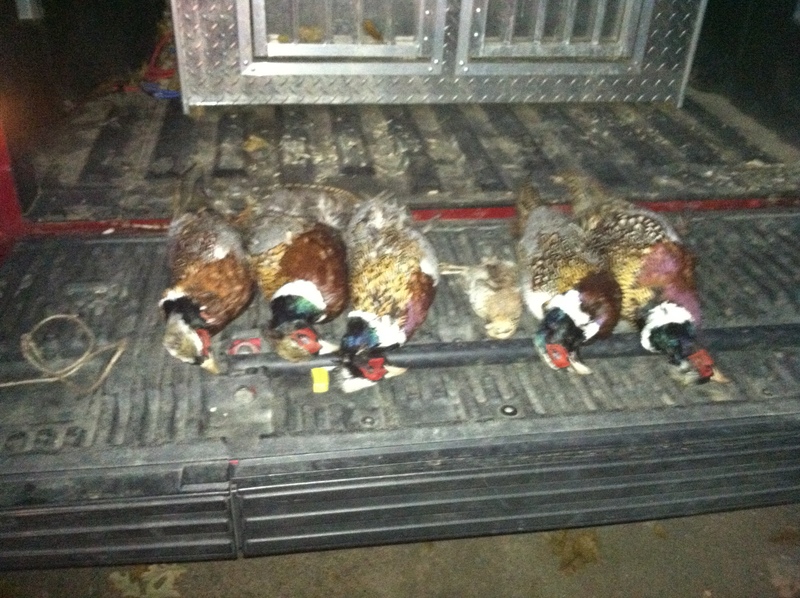 We had almost completed an hour long push of the property when the dogs got really birdy on our return trip to the truck. 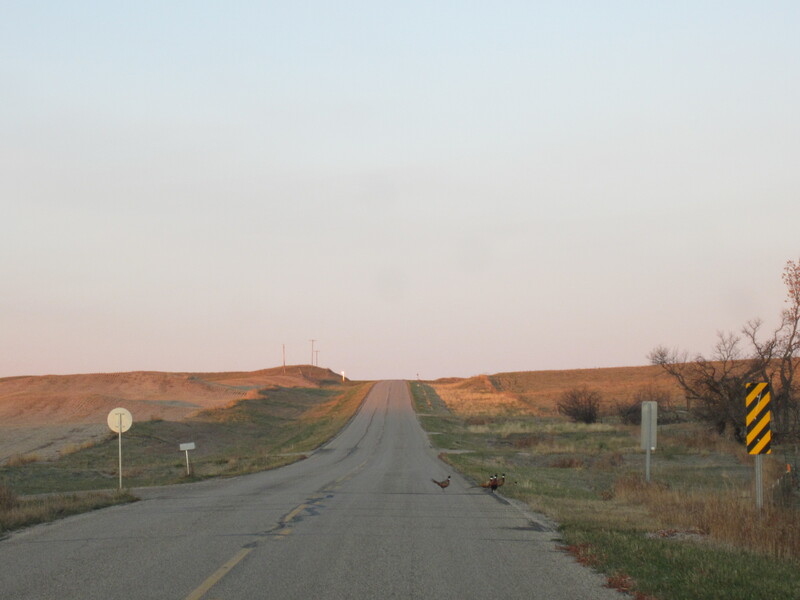 We had a rooster running, straight towards the corn, where despite our juking and jiving, he got away. 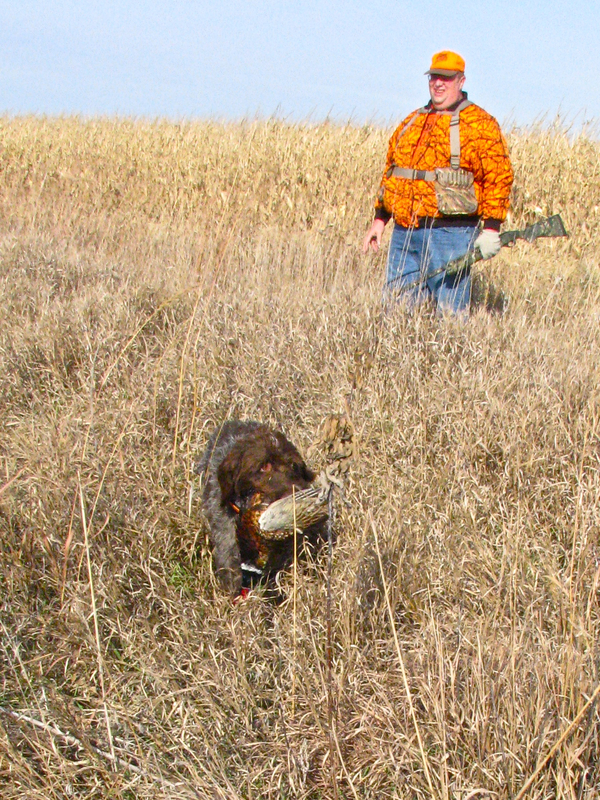 The dogs put up a hen in the corn and we assumed that it was the bird we had been chasing. 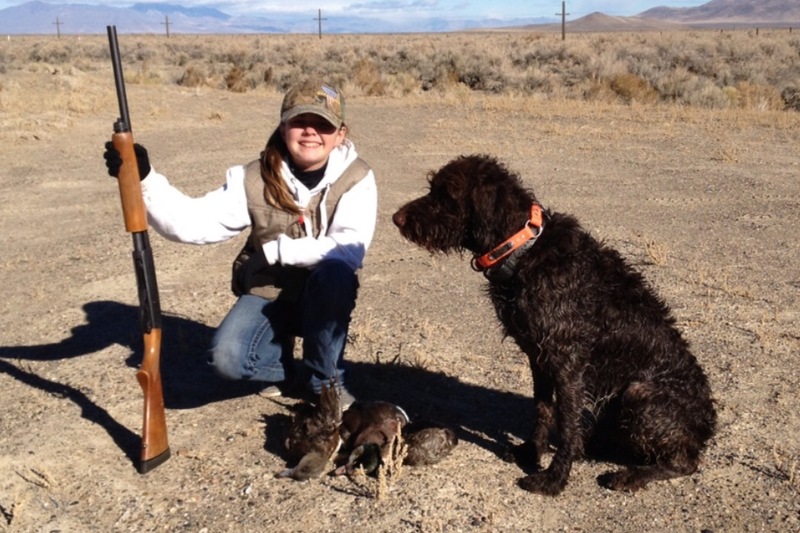 No longer than 15 feet from the truck, guns broken open, the dogs bust the rooster out of the standing corn to our chagrin, with nobody prepared to shoot. It was time to pay our hosts, Wilmer and Maude, a visit and present them with a gift of authentic German ring bologna that we purchased for them in North Dakota. 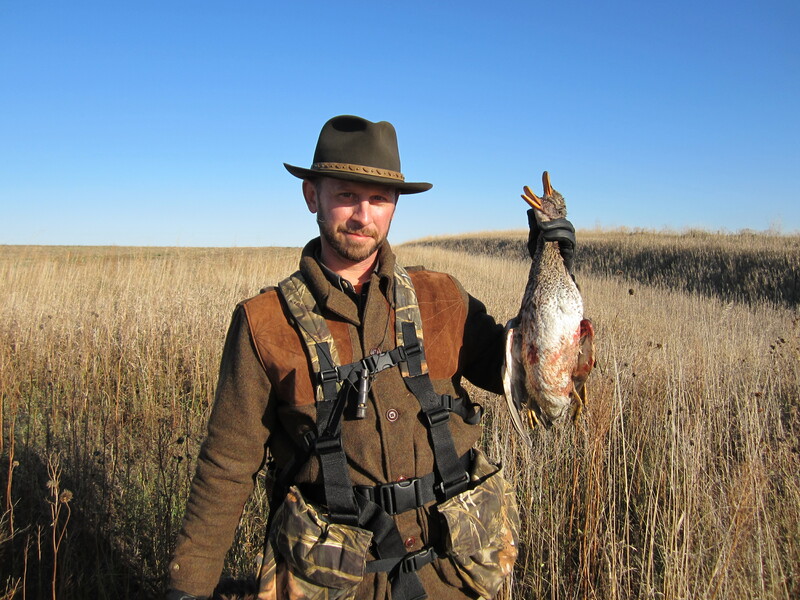 One must always go bearing gifts when given the special opportunity to hunt private land with permission. Nobody came into this trip expecting a limit. 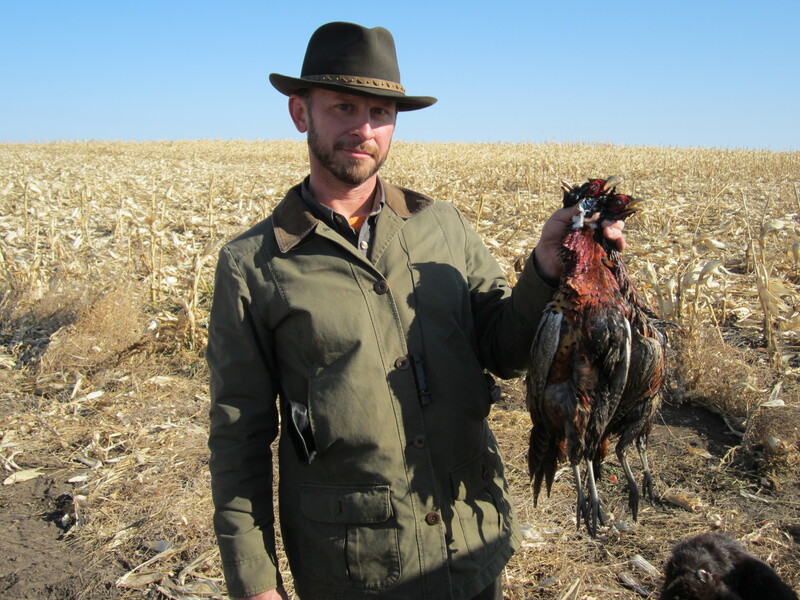 The excitement of the hunt was seeing that there are still wild birds in southeastern Nebraska. 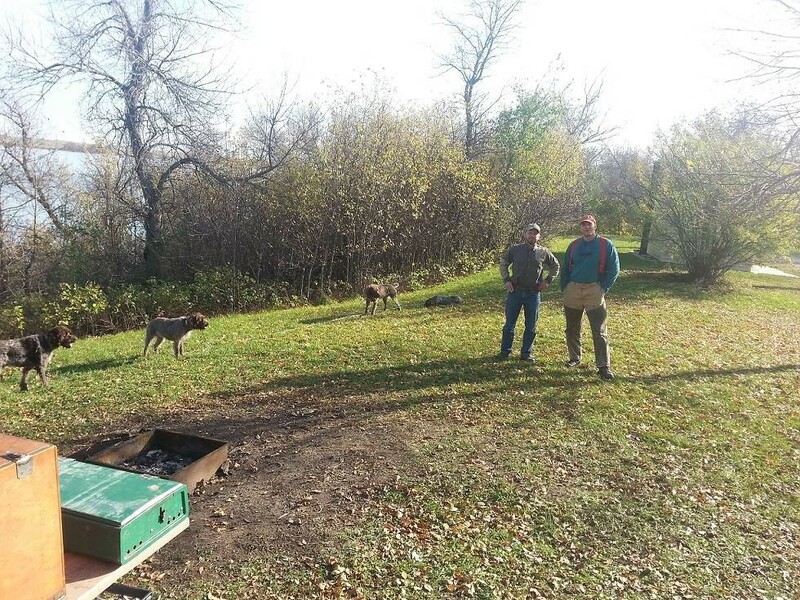 We awoke Sunday morning, grabbed the morning Omaha World-Herald from the yard, and drank our coffee with no intention of a hunt entering our minds. That was until we turned to the Sports section and read David Hendee’s account of opening weekend. 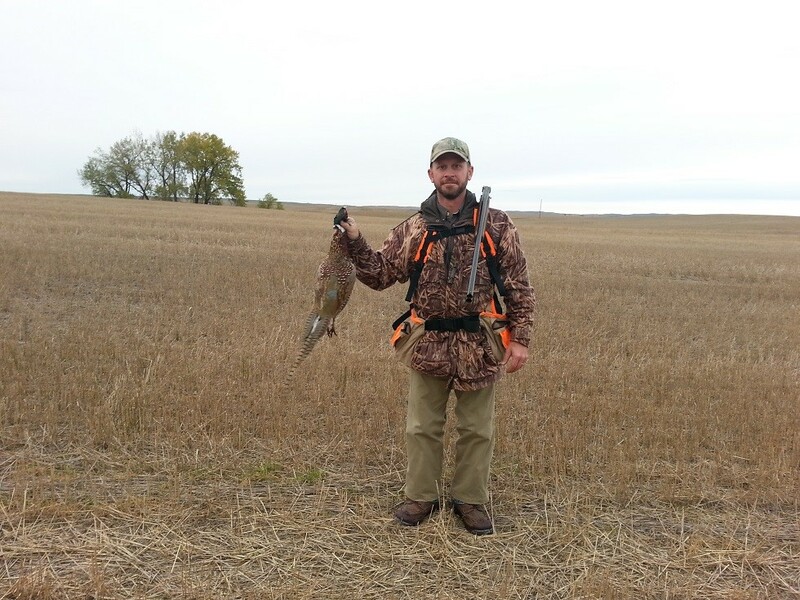 He had traveled out to Broken Bow’s Pressey Wildlife Management Area, which was stocked with pheasants by the Nebraska Game and Parks Commission for the previous weekend’s youth hunt. 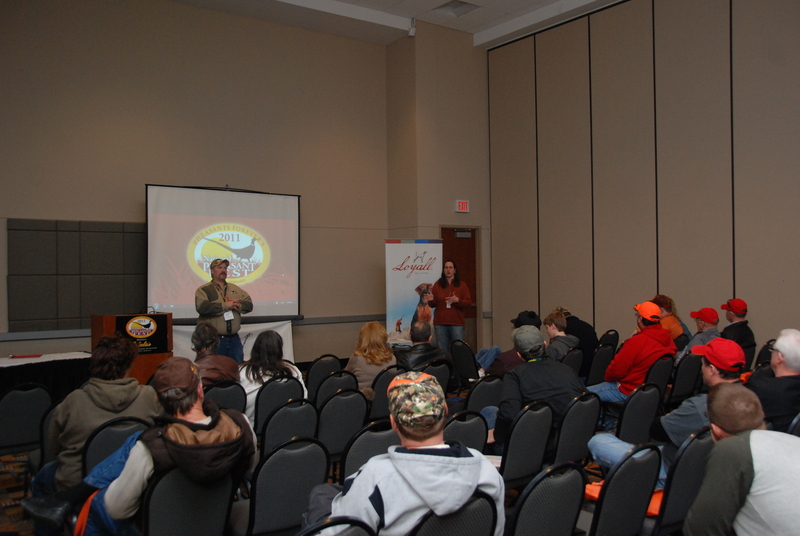 The article took the tone that NGPC and Pheasants Forever were disappointed with the hunter turnout at the stocked WMA’s. 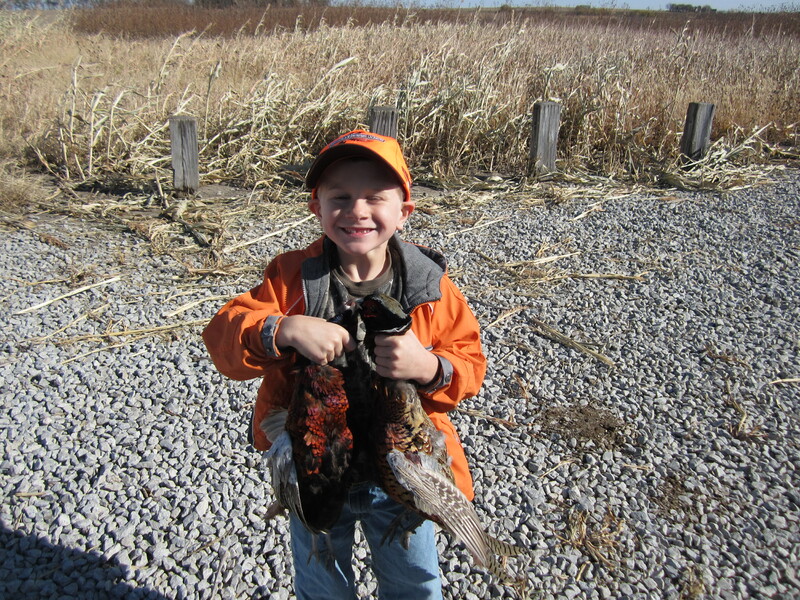 Conrad is fired up about pheasant hunting! 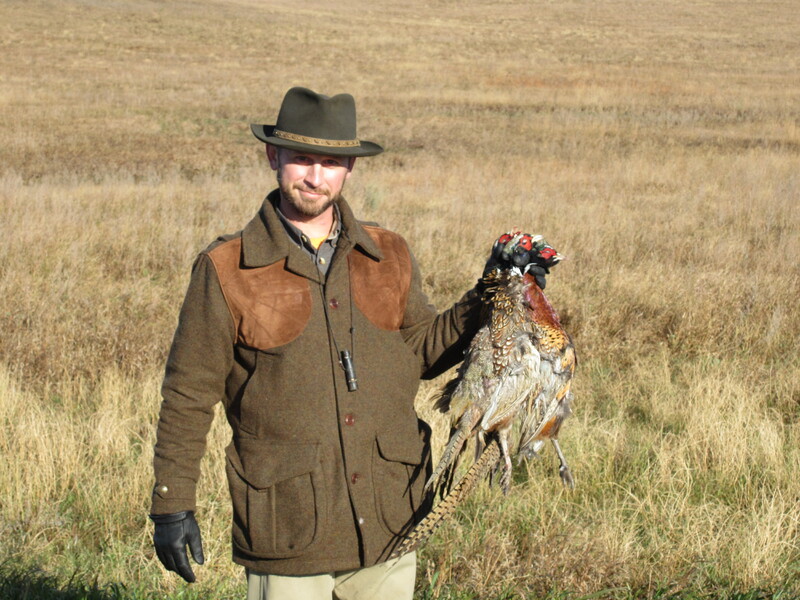 Attention Nebraska pheasant hunters: there are still scratch birds to be had from the stockings for the youth hunt weekend. 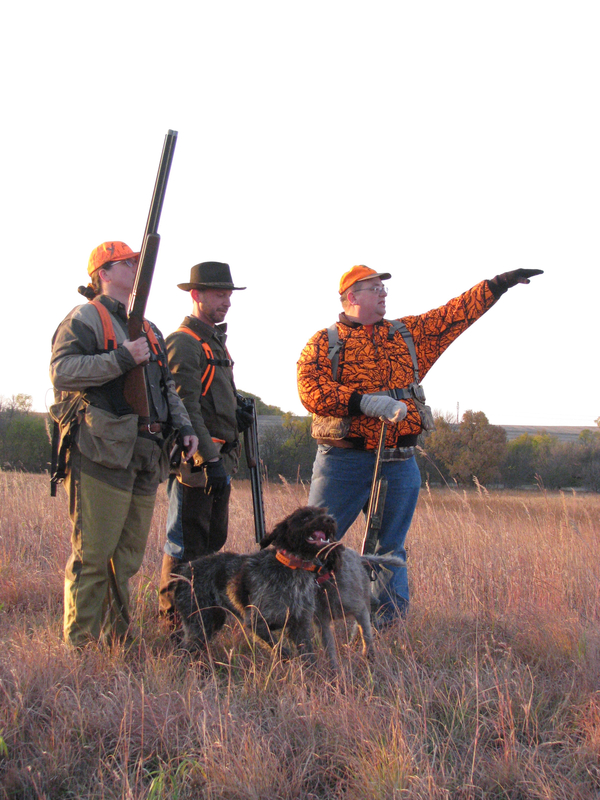 Please patronize Twin Oaks WMA southeast of Tecumsah, Branched Oak WMA northwest of Lincoln, Pressey WMA southwest of Broken Bow, Sherman WMA northeast of Loup City and Oak Valley WMA southwest of Norfolk on your hunts this weekend. 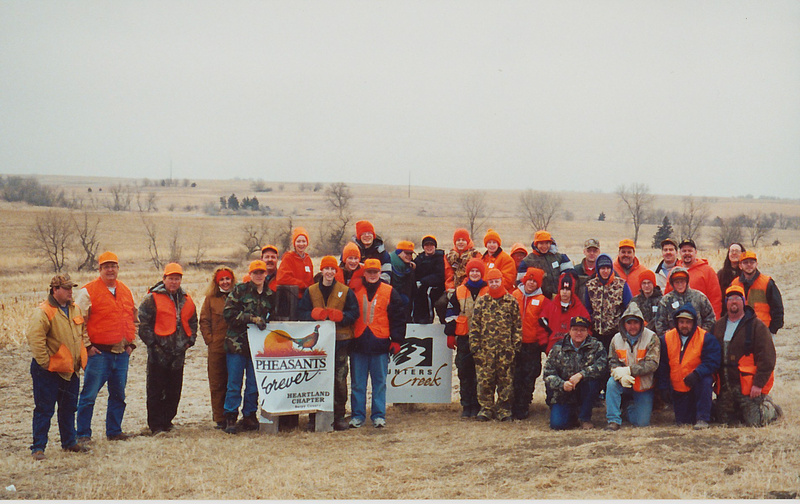 Thank the Nebraska Game and Parks Commission and Pheasants Forever upon your success in order to continue this opportunity for hunters in our state! 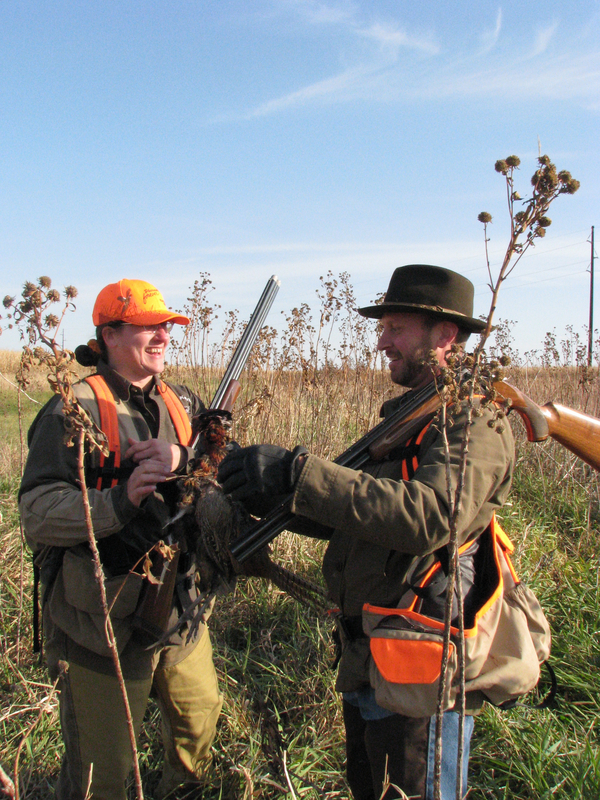 Heartland Chapter #491 Pheasants Forever meets tonight, Thursday, August 18th at 7 PM at El Bee’s on Hwy 50, near the Sapp Brothers Coffee Pot/Water Tower. 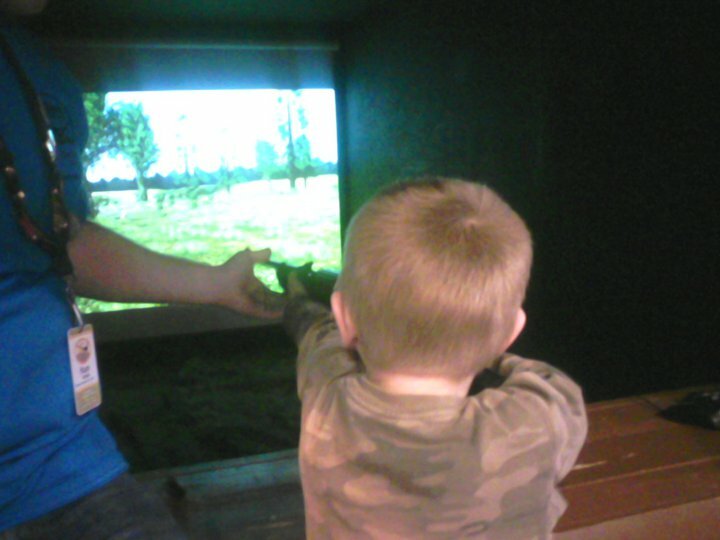 Youth Hunt Planning Meeting, new members welcome! Sue has been in heat the past week and it has been a real pain keeping Sam away from her. 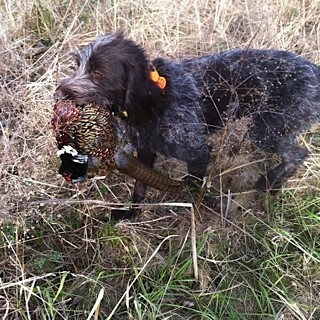 We do not want fall puppies because it conflicts with hunting season. I hadn’t been letting them exercise together, until Sam wore me down with his endless whining about not getting to hang out with his lady. So a few days ago I started letting them run together again, but just practicing manual birth control, which consists of lots of yelling and running after him to prevent him from mounting. I have also been busy doing battle with the burr plants on my property because I’m tired of brushing out BB every night to bring her in. I think that I about have them defeated and should finish the clean up this weekend. I am normally anti-herbicide, but these plants have me ticked off. I don’t think that I can convince Charles to spray though. Hopefully the good old weed and seed will do the trick. We have our first guiding gig of the year lined up for September 19th out at Pheasant Haven and are looking forward to it. 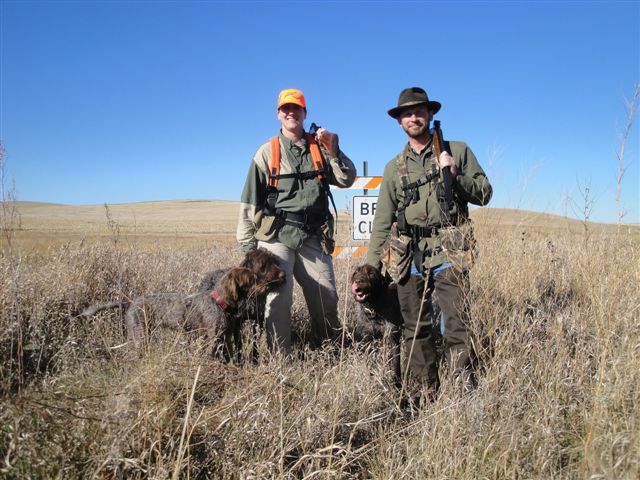 If you would like for us to guide for you at any of the Omaha/Lincoln area preserves, feel free to give us a call at (402) 682-9802 or shoot us an e-mail at bluestemkennels@cox.net. 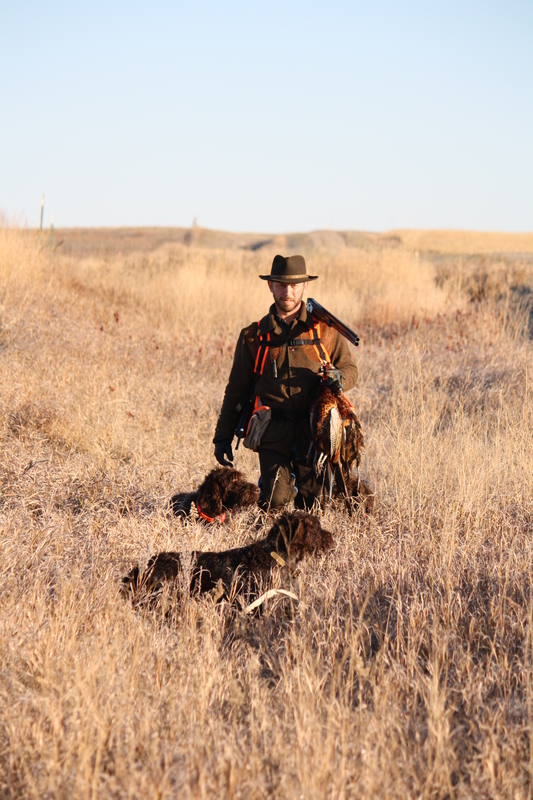 Charles does the majority of the dog handling in the field and I assist with gear. 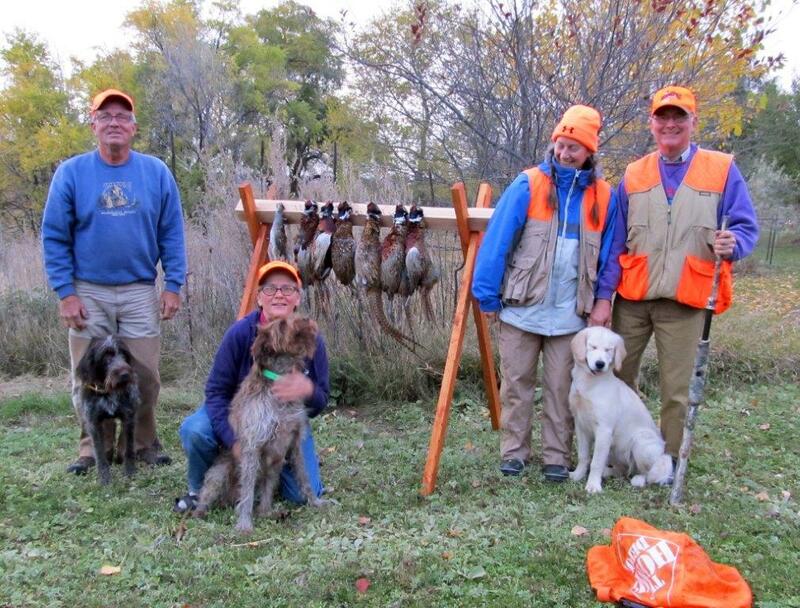 It’s very enjoyable to share our love of dogs and hunting with other people. At this point we are planning on staying in Nebraska to hunt through mid-October, then head up to North Dakota for a week. 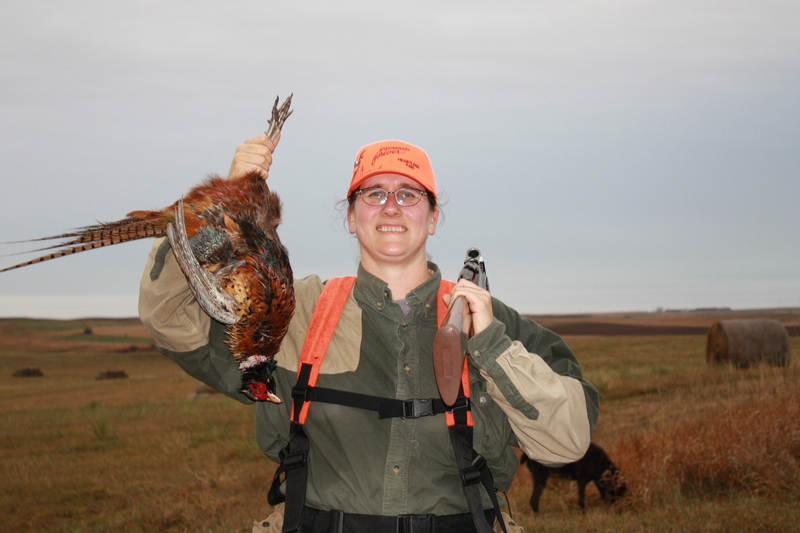 Which reminds me, I need to order my hunting license and get my Eastern Nebraska Prairie Chicken tags. 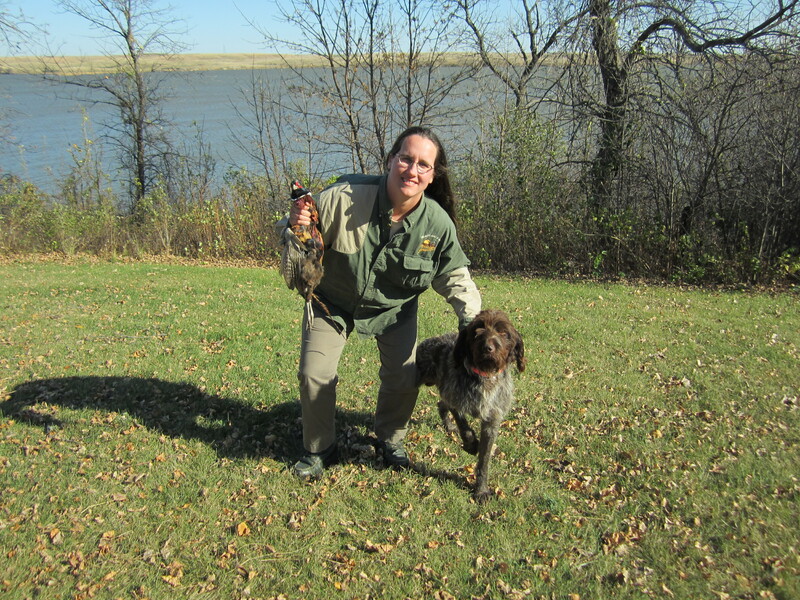 Also on my hunting related agenda for the day is I need to order some training birds for this weekend so that we can work with BB on planted birds and the gun before we hit the real deal. Charles and I have decided that we are not going to do AKC or NAVHDA hunt tests at this point. 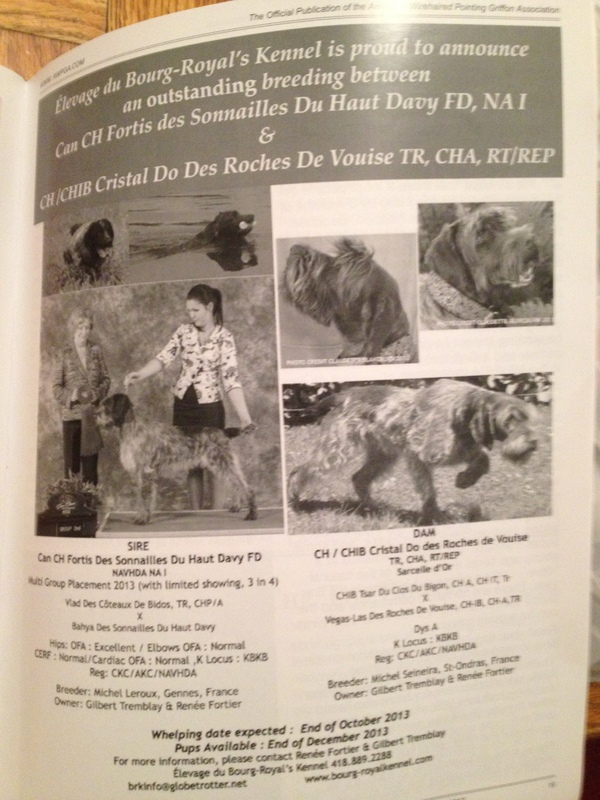 I know it looks cool to have a title behind your dogs name, but we just don’t have the time for it in addition to hunting and guiding. Not taking away from the folks who do hunt tests, it is good for them, but it just isn’t our deal right now. Two more weeks to go…I think this is probably one of the most exciting times of year to be in Nebraska. The football people are excited, the hunting people are excited…we’re just all excited to be a part of “The Good Life”! If for some reason you can’t view the slide show, here are the stills from it. Sorry that I can’t make them bigger (they are much larger in the slideshow). 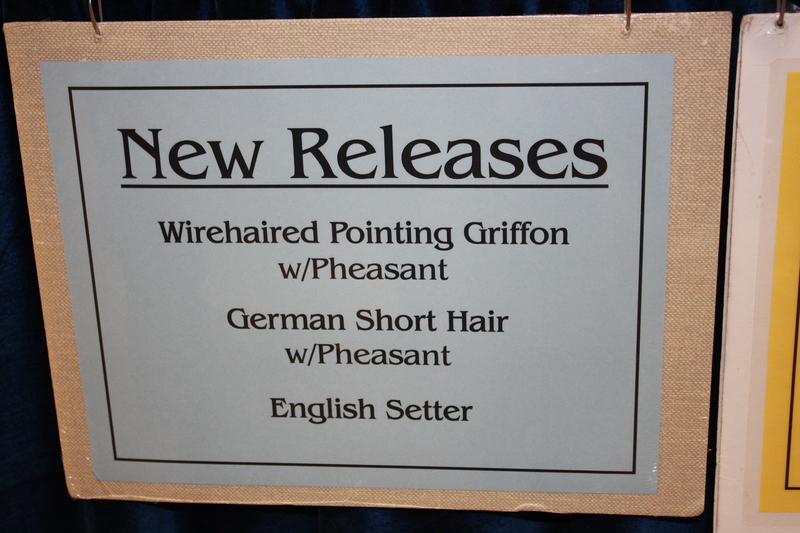 We will be continuing our adventures at Pheasant Fest all weekend!